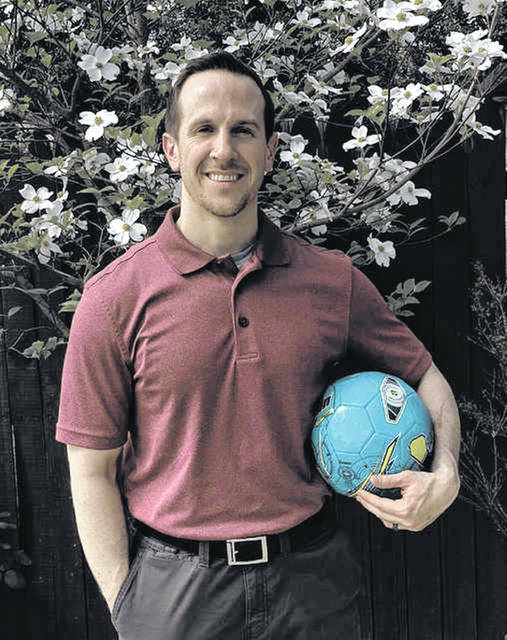 As the season quickly approaches, Portsmouth High School graduate and Trojan head soccer coach Noah Fannin is excited to officially rejuvenate the program he once played for. 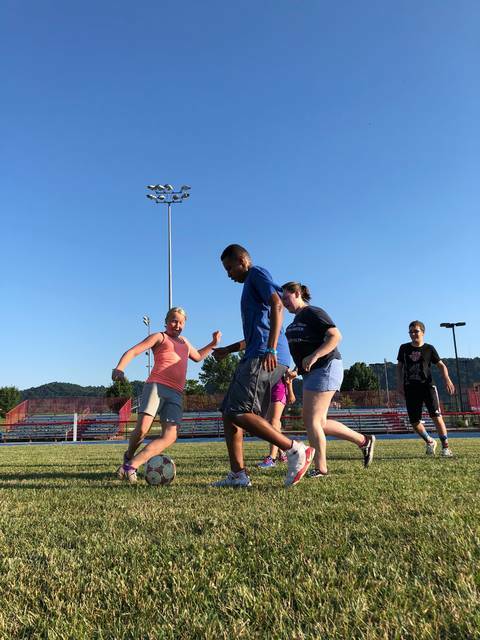 For over a decade, there has been a gap in the youth soccer scene in the city of Portsmouth and for the students of Portsmouth Junior High and High School. With the help of assistant coach Kyle Spiegel and Junior head coach Jennifer Copas, Fannin is hoping to fill that void for the students of the Portsmouth schools. “It’s been a learning process for the students and for myself” said the first time head coach Fannin, “I’m going through a lot of the same motions they are”. The plans to rejuvenate this program have been in process for four years, when Fannin was hired on as an English teacher at Portsmouth High School. Not only did Fannin have plans to eventually head the effort to revive the youth soccer program, he mentioned that he wished to see the program back in his initial interview for his current teaching position. “Obviously that takes some time and some convincing” said Fannin, “For the past four years, we’ve done a petition, we’ve had kids and parents both sign. We had a lot of support to back us up”. From there, Fannin took the petition to the school board and eventually the Portsmouth school board approved his plans to fully revive the program. The Portsmouth High and Jr. High teams are both co-ed and will compete in the OVC once the season starts the first week of August. Although this will be the first year playing soccer at any level for most of Fannin’s players, the team will still face a full varsity schedule during their inaugural season. Shawnee State University has allowed the newly formed team to use their own soccer field located on Shawnee’s campus for their first season. “We’ll be playing on the turf field, we have access to lighting if we had to” said Fannin, “A lot of our kids have never played on a turf field for soccer, and they all seem to like it”. During the year in which the FIFA World Cup took place in Russia, Fannin believes the interest level in the city of Portsmouth for his players and parents couldn’t be higher. “I think more people got interested, parents included because they were watching World Cup games with their kids” said Fannin, “I think that made a huge difference, it drummed up a lot of community support”. France defeated Croatia in the World Cup final 4-2, making France the two time World Cup champions. The United States did not qualify for this year’s World Cup but will have the chance to do so for the 2022 World Cup which will be played in Qatar. Since the youth soccer craze in America began in the mid-nineties, more and more kids are joining travel soccer teams, playing for their high school teams, and even playing the FIFA video game to help familiarize themselves with the most popular sport in the world. The new team has been hard at work all summer, two or three times a week in order to get in physical shape needed to play a full soccer game. “Our biggest challenge has been the conditioning side of it” said Fannin, “We’ve been going all summer, most weeks two-three days a week”. In the very first season of any new program, there will undoubtedly be some bumps a long the way. But for Fannin, the most important thing is to make sure the players are having a good time and learning about the game. “I want to make sure they’re enjoying themselves” Fannin said, “We want to make sure the program stays around”. The new Trojans will begin their season August 4th at New Boston in a super scrimmage beginning at 10 a.m.